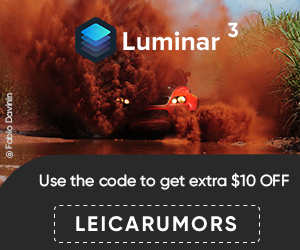 AP reports that Leica Camera sent out letters to dealers apologizing for the delay of M shipments citing "elaborate manual process" to manufacture the camera and demand that "far exceeded our expectations". The situation should improve significantly once the new factory opens in Wetzlar next year. Leica is also recruiting additional workforce. A quick tip: my local Leica store will be receiving two Leica certified pre-owned cameras early next week - one Monochrom and one M 240. Certified pre-owned cameras are sold for less than MSRP and come with limited warranty. Call them for more details at (561) 253-2606. 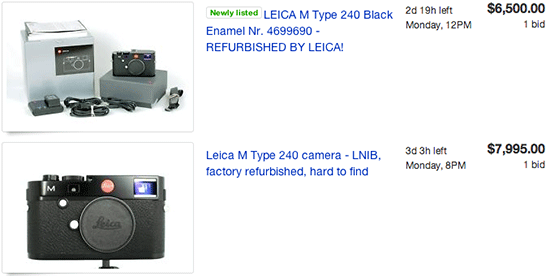 Update: the two certified pre-owned cameras listed above are now sold. Currently there is one used black Leica M for sale on Amazon with one year warranty (I think this camera is also factory refurbished).